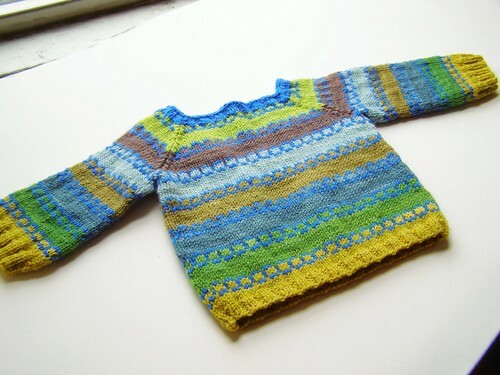 i’ve never done a swap over ravelry before and this one was made up for my swap partner in the due in April 2014 group. 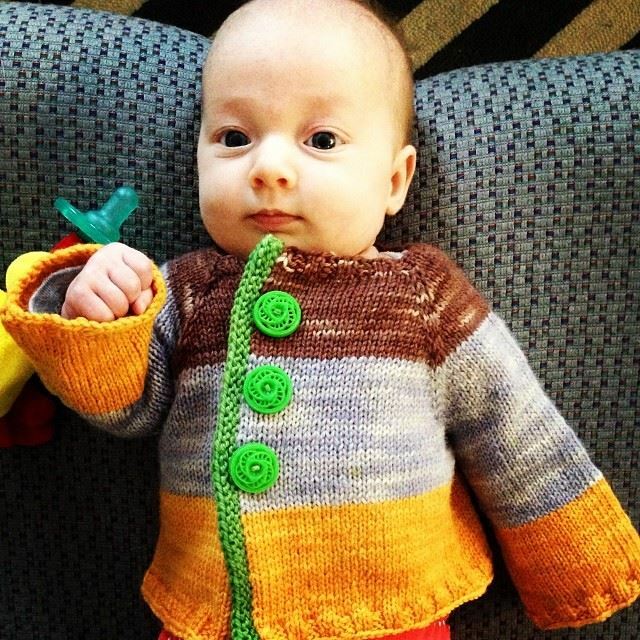 we had to include a finished knit of some sort. swapping is so fun! 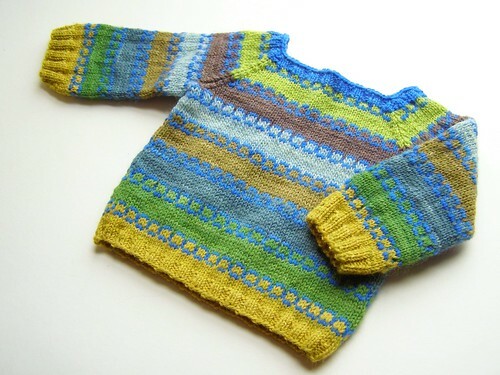 have i told you how much i love colorwork? originally i thought i’d make a vest, but realized the only vest i’d be happy with is one that included steeks, and i haven’t done those yet. so next on my learning agenda – steeks! 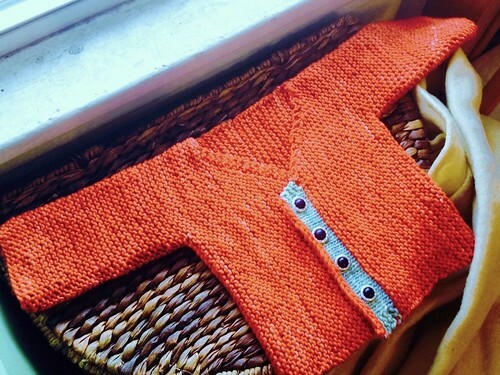 so i can make colorwork vests and sweaters into cardigans. made from all my hand dyed sport weight yarns, of course. raveled here. 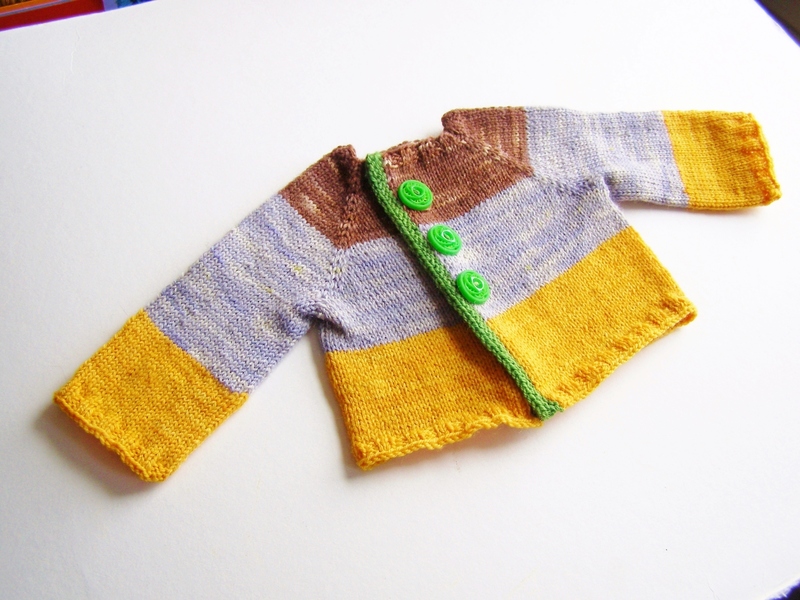 A garter stitch kimono jacket with contrasting button band, asymmetrical neck option, and lots of room to grow. This pattern includes exact instructions for Sport and Aran weight options, as well as schematics and measurements for other yarn weights and gauges. When you click on the button below and follow through on the payment, a seven page automatic download in pdf format will be delivered to your email address. Additional Note: After putting the 3 month old size on my 3 month old, the asymmetrical neck seems wide on that size baby. For the smallest sizes, I think the V neck will fit better. 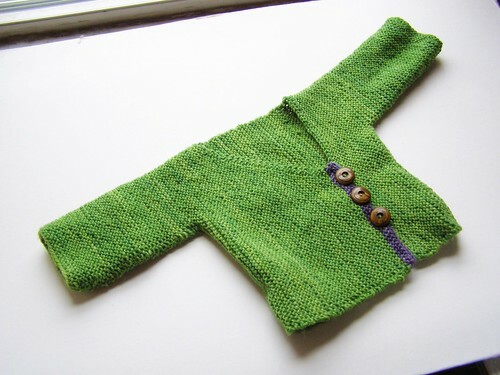 Or another solution might be to make a size smaller sweater, since it’s so roomy to begin with. Also note, the sleeves needed to be rolled up. sadly, the fogt baby wrap kits have been put on hold because my hips aren’t cooperating. if you really want one, send me an email to cosymakes(!at)gmail(dot! )com and we can discuss it. i did get some done before my hips started misbehaving and making a couple of kits for folks won’t kill me. 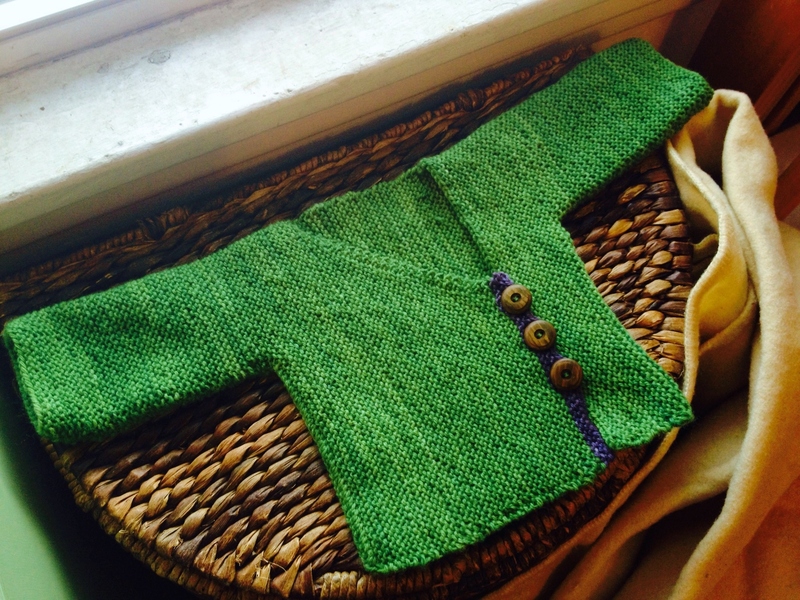 A sweet little big buttoned, blank canvas of a sport weight sweater to wrap a sweet wee one in. see it on Ravelry here. kits will be available in the next couple of weeks! 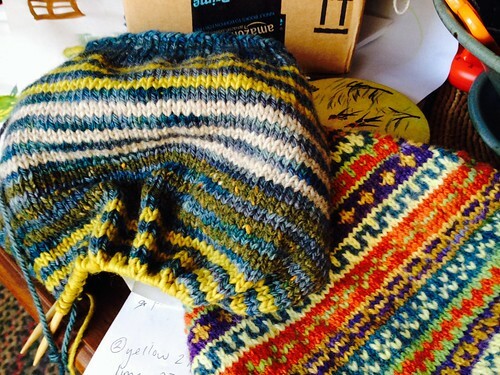 note: the pattern includes optional arm shaping for the two larger sizes. 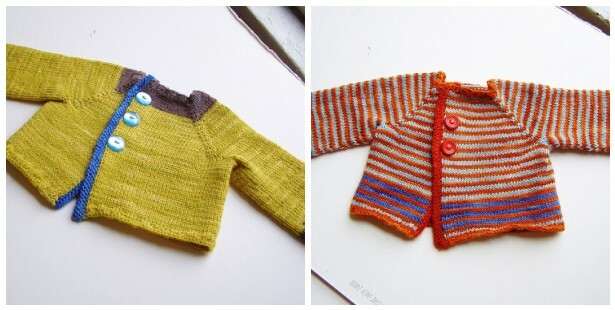 going to test knitters soon! green raveled here, and red-orange here. can you tell i’m trying to get as much done as possible before the new babe comes? raveled here. 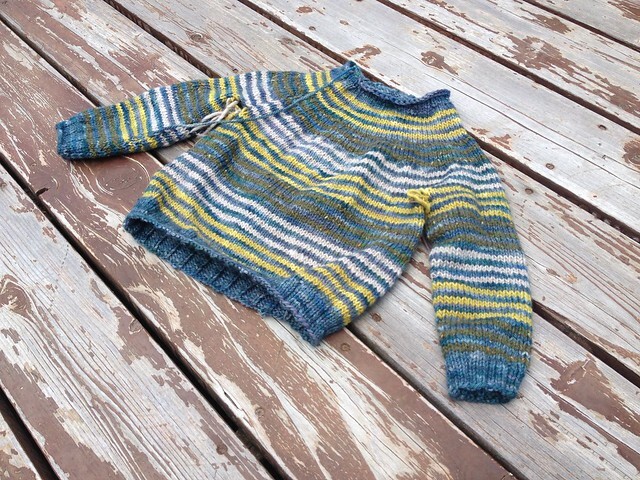 the pattern is with test knitters now. p.s. for those of you who would like to see some pregnant pics, here’s the whole fam, with a glimpse of my belly and the toddler in knit goods, and here’s me at 27 weeks! and an ultrasound pic.